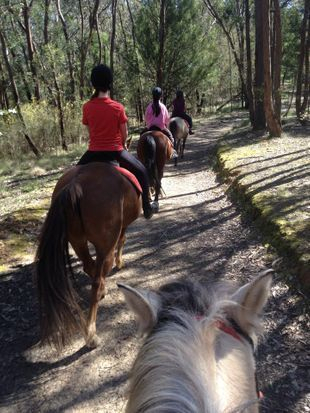 We run School Holiday Programs weekdays during the midyear term breaks and for a few weeks during the summer holidays for children 8yo and up with or without riding experience. Children will learn the basic skills required to groom, saddle and ride their own horse or pony for the day. For children with some experience we modify our program format to ensure everyone is suitably challenged & has a good time with us! The day runs from 9am till 4pm, a BBQ lunch is provided for all students. Our standard day starts with a lesson in the morning focusing on the basics of stop, go, steering and the rider's position and balance, and we'll play mounted games to test those controls! 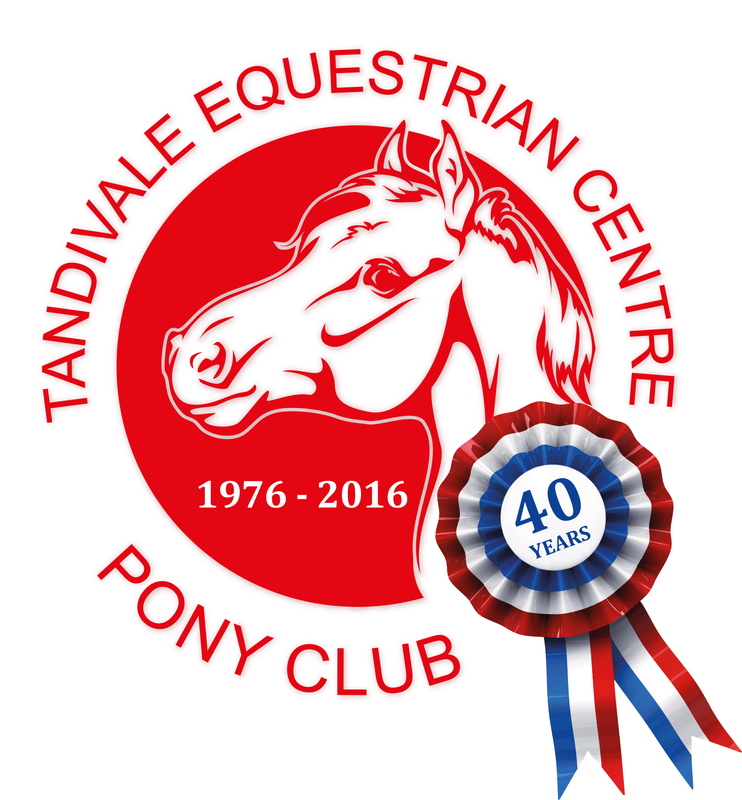 Children with riding experience will be suitably challenged with an appropriate horse and activities matching their skill level. The afternoon riding session will reinforce the learnings of the morning, with more games and skill challenges! We may modify the standard program format depending on the weather and other influencing factors, such as the age and experience of attendees. The program is suitable for children aged 8 & above. The price is $145/child per day and payment is required to secure your booking. For groups of 4 or more paid for in a single transaction, the price is $135/child per day. 1. View the Holiday Program Fact Sheet for important information such as what to wear and bring. 2. Print and complete the registration forms which can be brought with you on the day. 4. Remember that we start at 9am each day, regardless of the weather! We look forward to having you spend the day with us. "I LOVE GOOM!!!!! BEST HORSIE EVER! Tandivale is the place for me! :D!!!!! GOOM!"